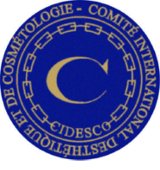 The CIDESCO Beauty Therapy Diploma is the most prestigious diploma in the beauty industry. We have been working closely with CIDESCO for 35 years, always ensuring a high standard of curriculum preparation. This gives us the confidence that our graduates are among the elite in their profession. **The Aromatherapy and the Indian Head Massage Diplomas are accredited by the Guild of Beauty Therapy. As indicated by the syllabus outlined above, the training course involves both theory and practice. Regular class tests and ongoing assessment help to monitor your performance. During the course, students practise on each other and also perform a variety of treatments on clients. Students are also given the opportunity to practice on real clients as part of very popular ‘Health Farm days’. During these days a salon working environment is simulated. Students are required to revise for at least 2 hours every day. All students completing the CIDESCO course need to produce a thesis on a specialised subject. This is in addition to the daily assessments and homework. **This training programme also incorporates the CIBTAC training and qualifications. Accommodation can be arranged with locally approved families at an extra cost to the student. Payment for lodgings is directly made to the families concerned. This covers bed, breakfast and an evening meal. A deposit of £1,400 is payable after an interview and acceptance on to the course. Four further payments of the same amount are payable in September, November, January and February. Beauty Kit £240 payable September 2017. Kit includes books, tunic, a case with treatment products, utensils and make-up brushes.